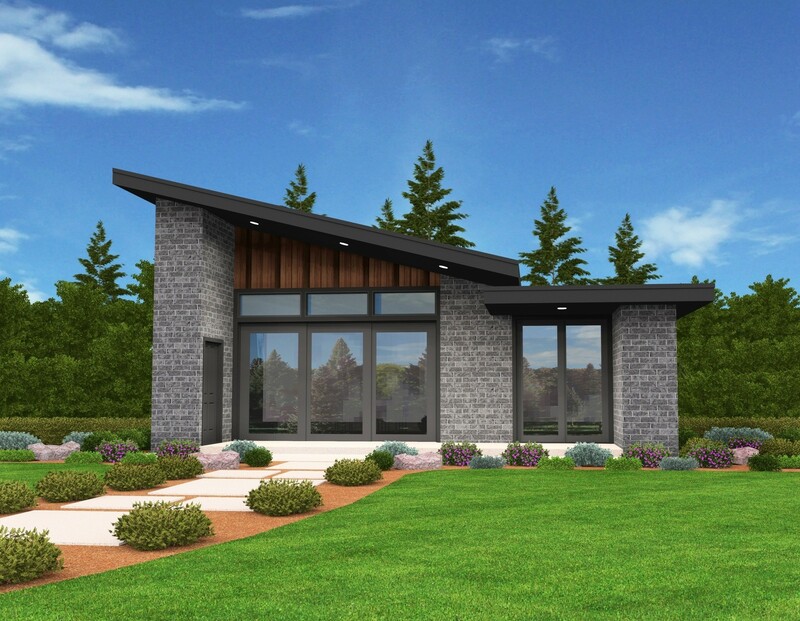 This sleek modern house plan offers huge living in under 650 square feet. 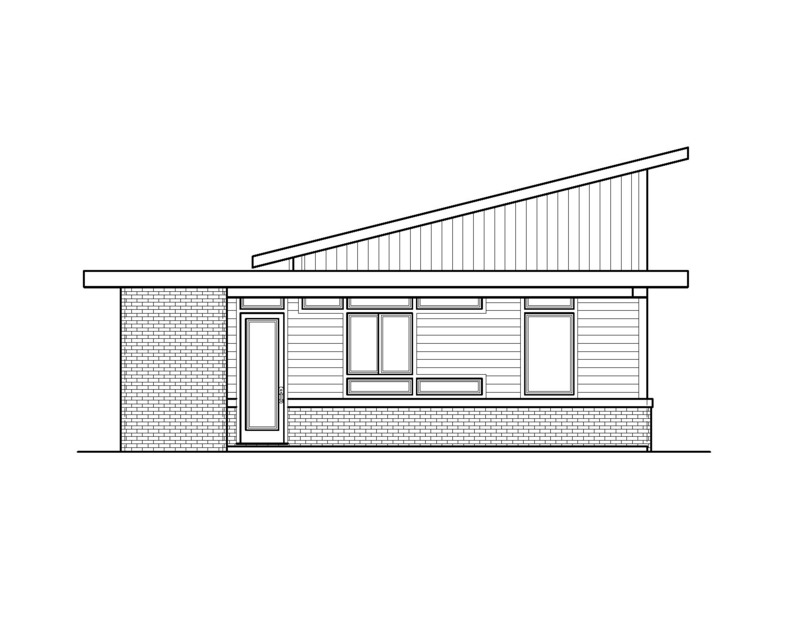 Mercury has all of the curb appeal of a much larger modern home in a compact package that can fit on a huge variety of lots. 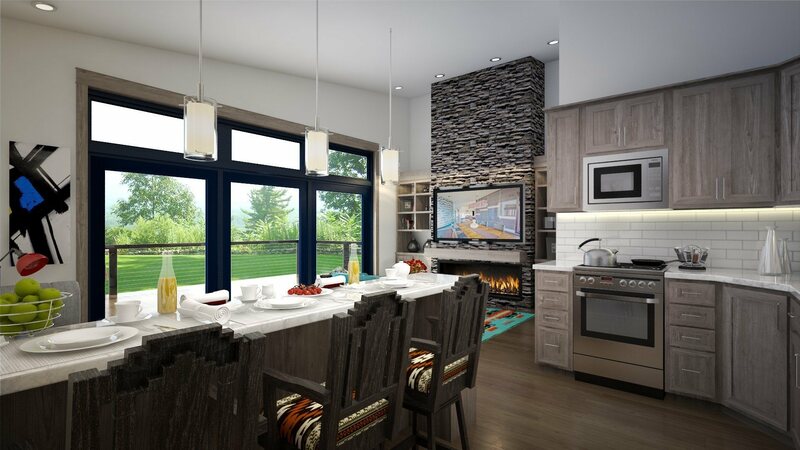 The built in eating bar in the kitchen offers excellent dining and cooking flexibility. The media wall in the great room holds all your electronics as well as having enough room for a large television. 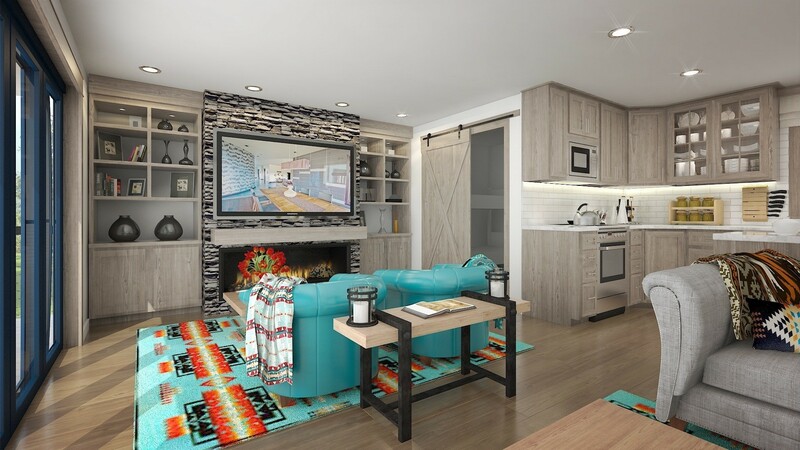 With the Mercury small home design there is enough room for two gathering spaces or a large dining room table in place of the sectional shown here. 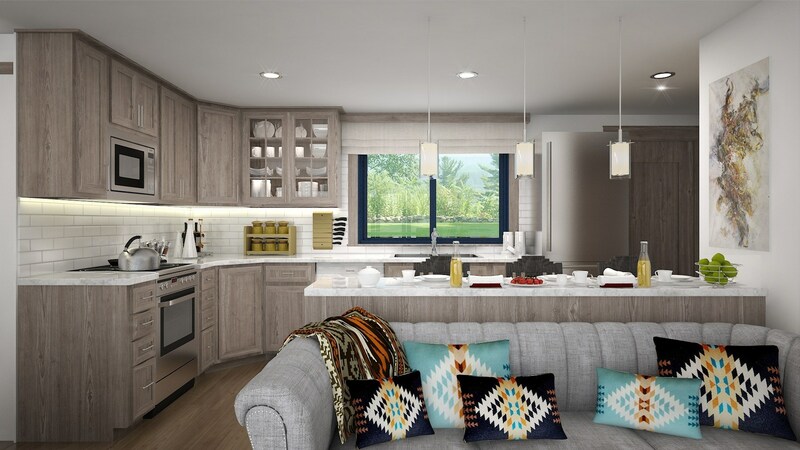 The kitchen itself has more than enough storage space. Bunk beds are tucked behind a barn-doored sleeping area. 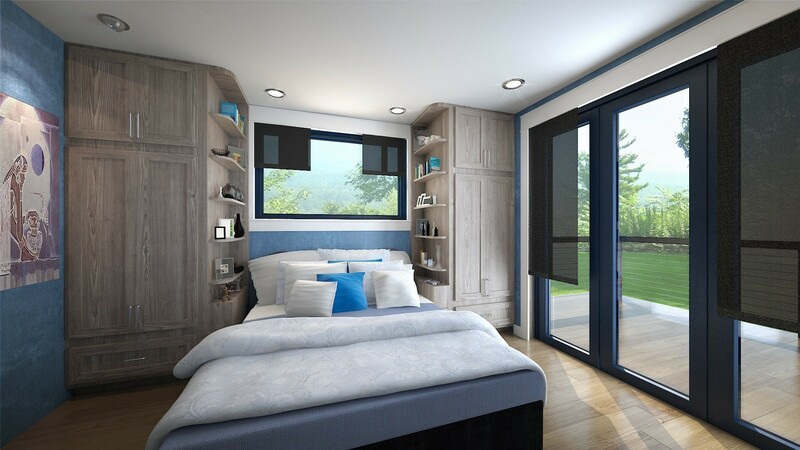 The master bedroom of this modern small house plan is completely outfitted with built in storage, closets and cabinets as well as a king sized bed. The bathroom is tucked privately around the corner. Note the large covered outdoor living area out the back door. All mechanical is under roof in its own mechanical room. Washer and dryer stack in the bathroom. I like the simplicity and the openness of the living spaces. Good storage built in. 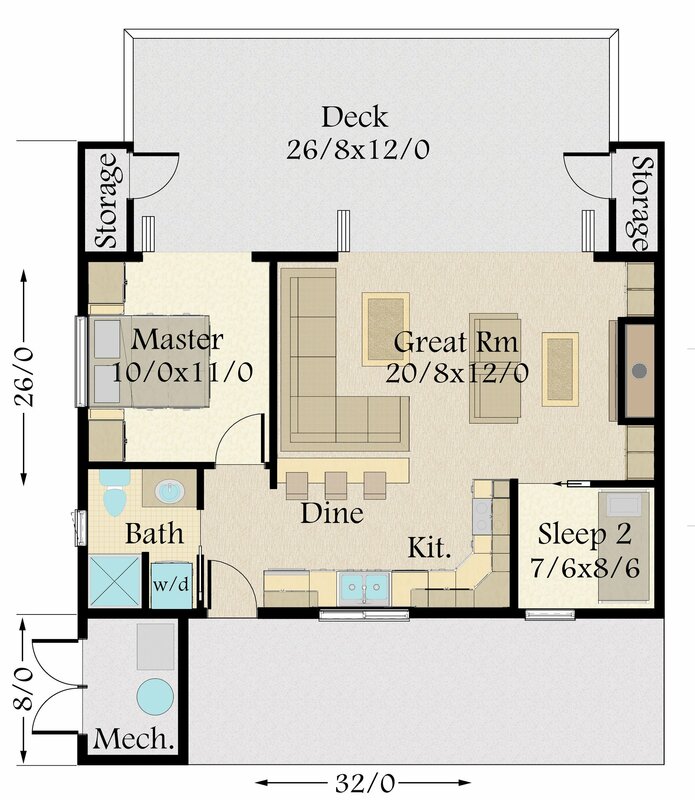 I would make the bath accessible from the master, and sacrifice some of the deck for master closet space.